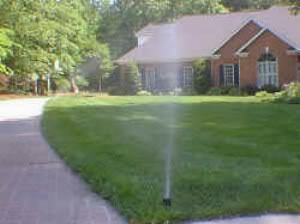 In my years of installing sprinkler systems, I’ve seen a lot of what goes on in the landscape and lawn irrigation field. I hope to help homeowners make an informed decision when seeking estimates and know how to differentiate the good from the bad. Every year I have several contractors beat my prices by a large margin. A small margin is normal, but a large margin is cause for concern. Understand that there isn’t much room to move on prices unless that contractor is going to cut corners. That being said, if you get several estimates that are in the same range and all your questions have been answered satisfactorily, but there is one estimate that is really high with no obvious reason, then it has probably been inflated. I always provide a drawing to scale showing what the homeowner will get if they hire me. I install a professional sprinkler system with commercial grade parts. Now I’m not going to be the least expensive in most cases, but over the years I’ve always made sure to do it right the first time and have happy customers. I never cut corners. Now every irrigation contractor has made mistakes over the years (I have). The important thing is, does that contractor learn from their mistakes and honor their warranty? 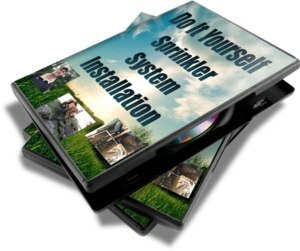 Listed below are some questions to ask and things to look for when getting estimates and hiring a Lawn Sprinkler Contractor. I hope this will help you in your search. A scale drawing showing head placement, zones and where everything will be. Will I have head to head coverage? This means that in most cases every sprinkler head will be hit by the water from another sprinkler head. Show me on the drawing. What’s the name brand of the sprinkler parts? May I see some of your work? 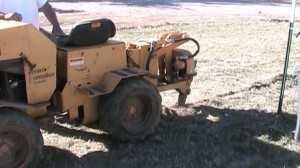 This will cause much less damage to the yard. How effective is their presentation. I hope this will help you find a good Irrigation contractor so that you will have a stress free experience with your project and end up with a problem free system. Good Luck. Thank you for such descriptive information. and I am impressed! Very helpful information specifically the last part 🙂 I care for such info much.